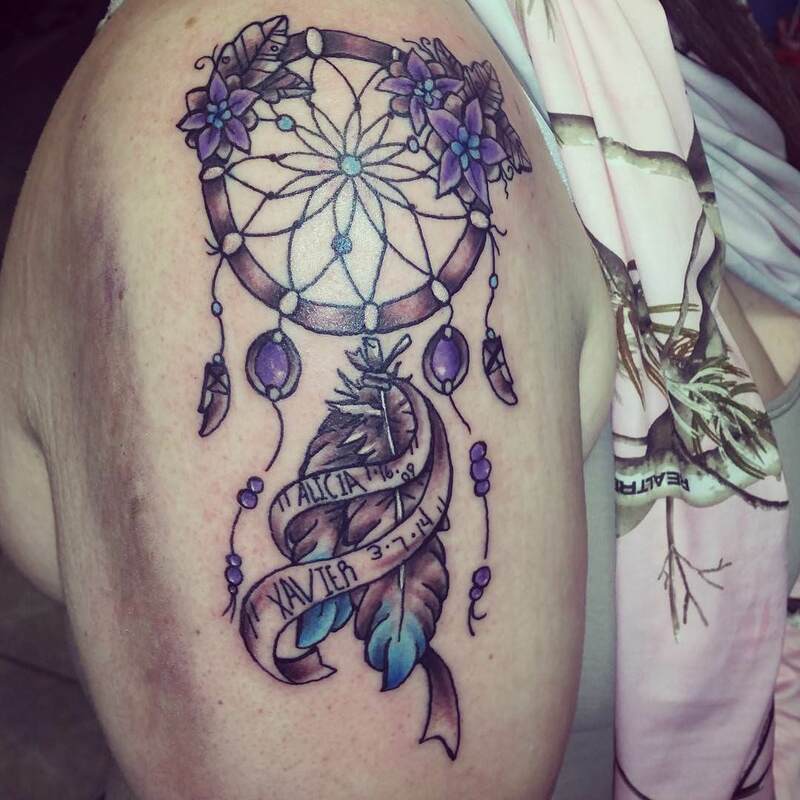 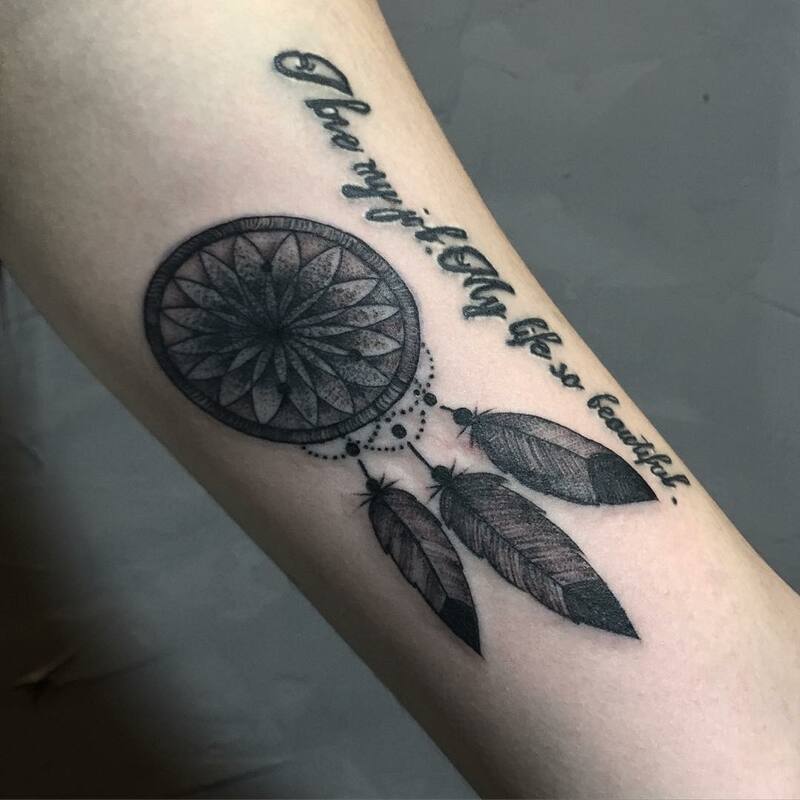 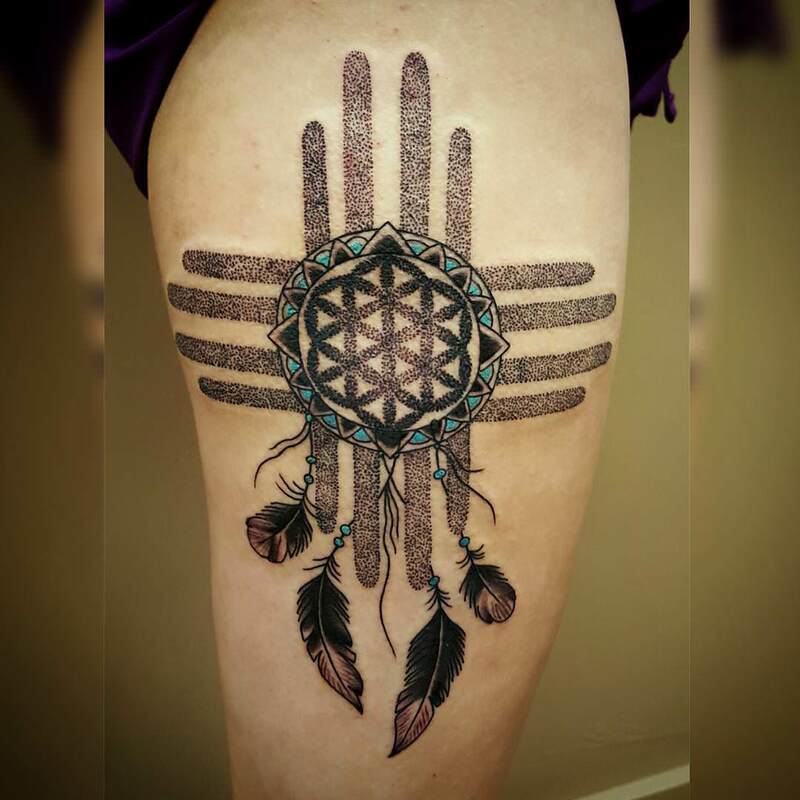 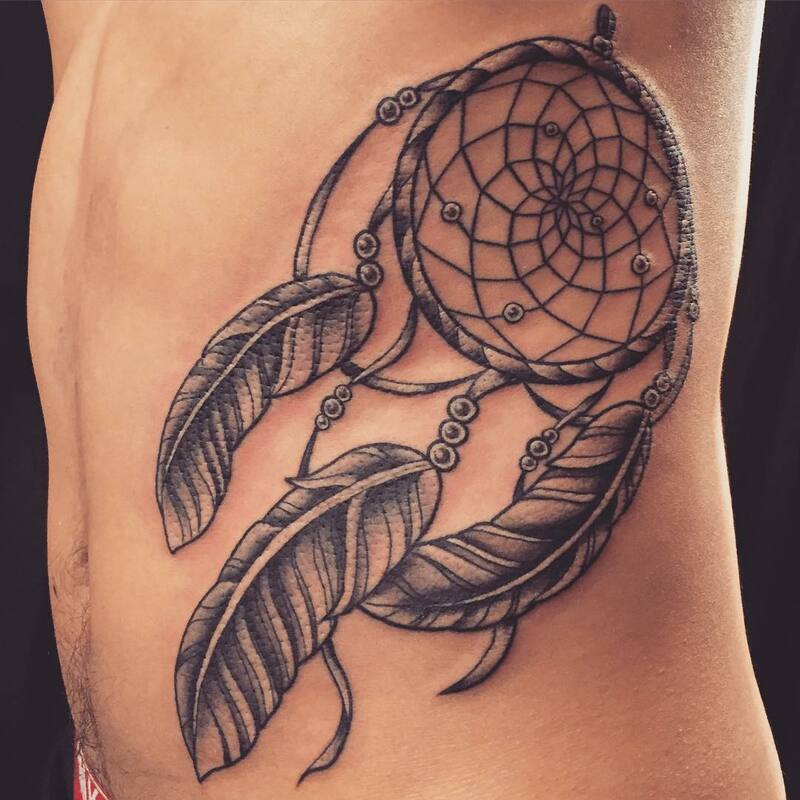 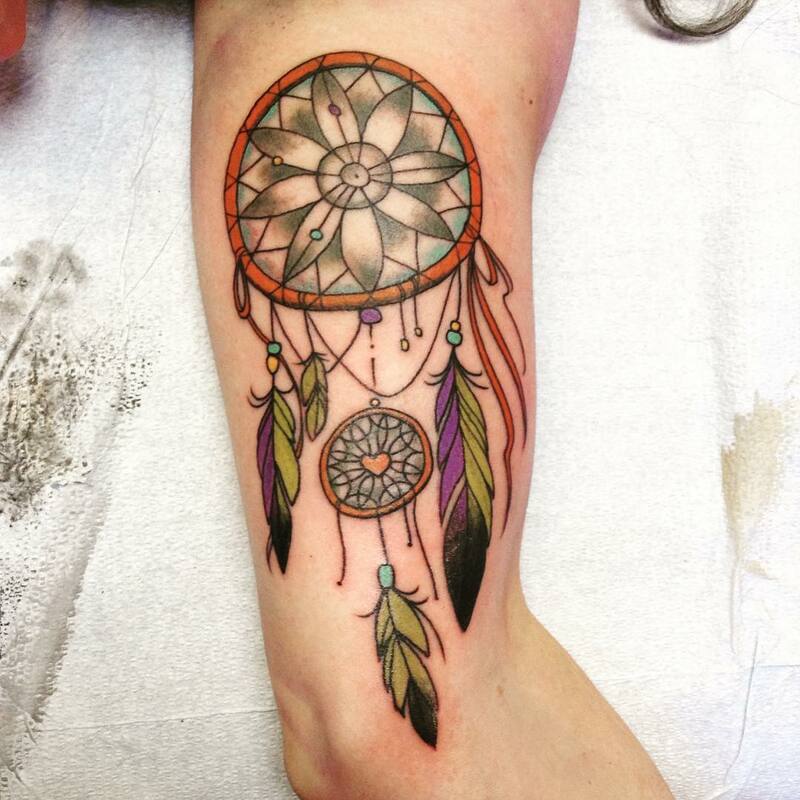 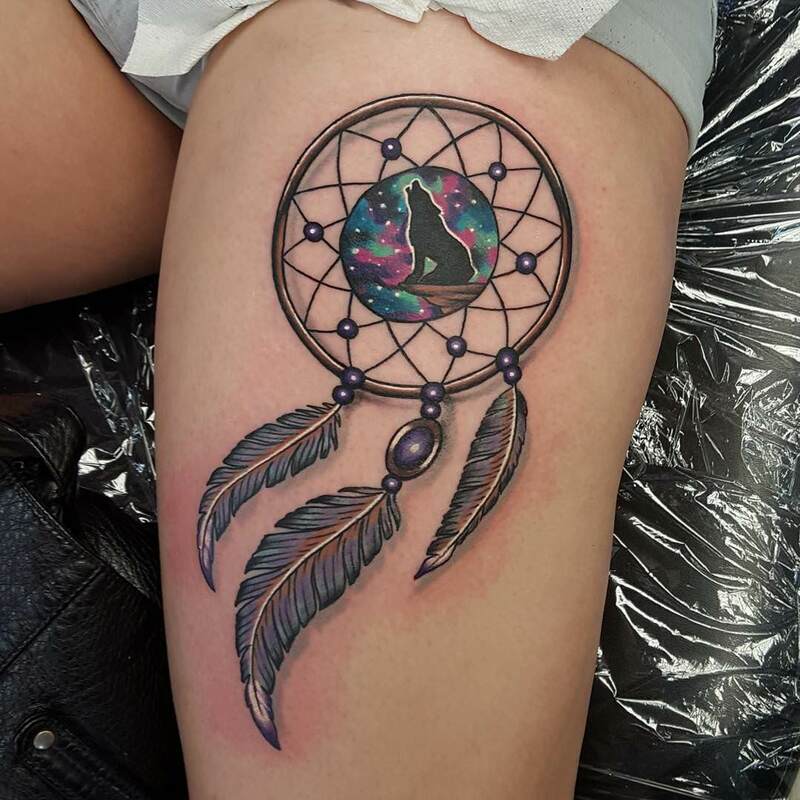 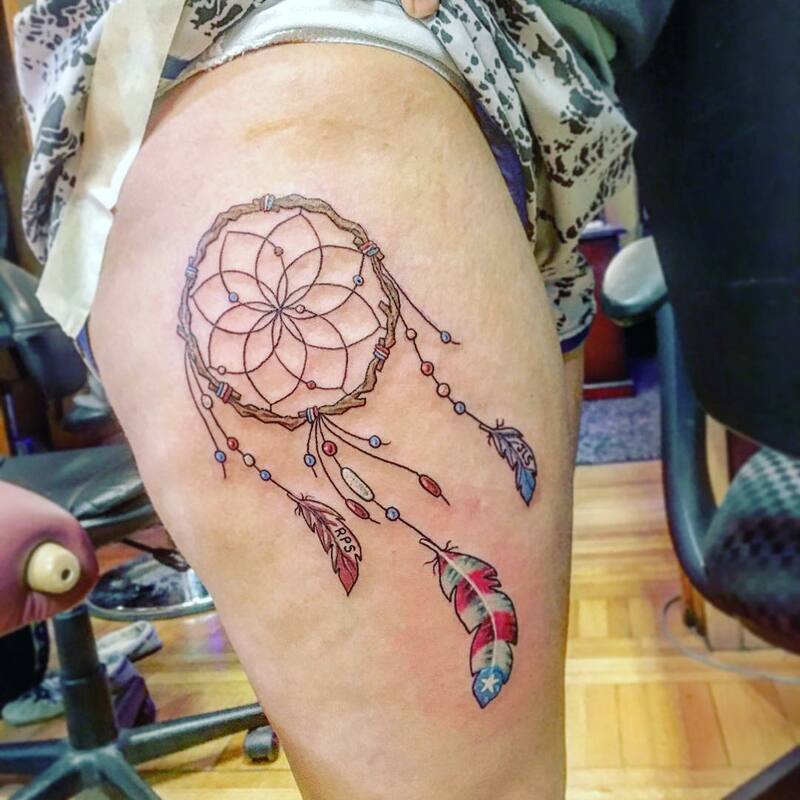 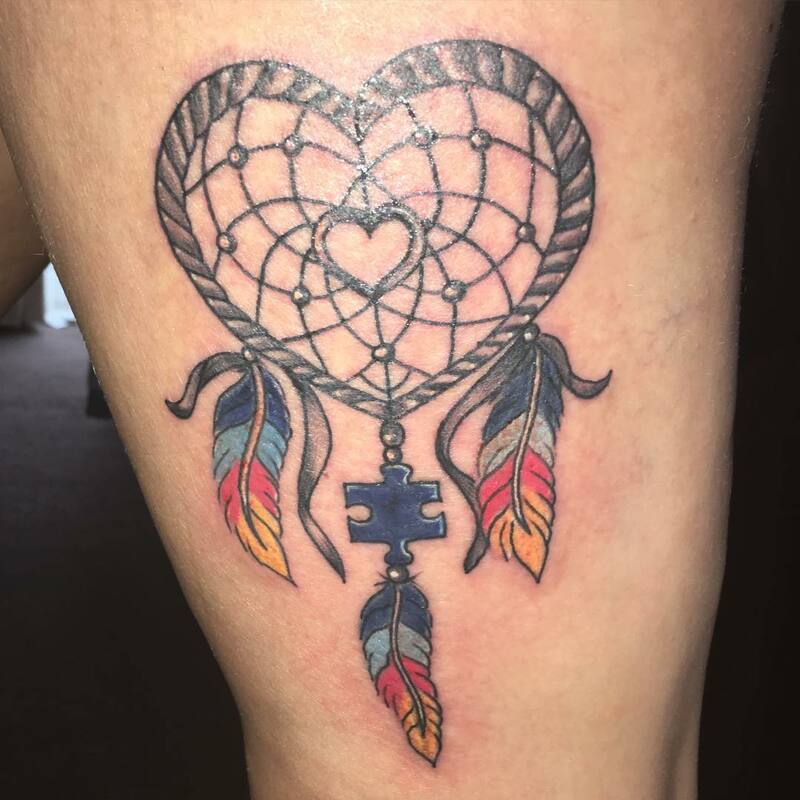 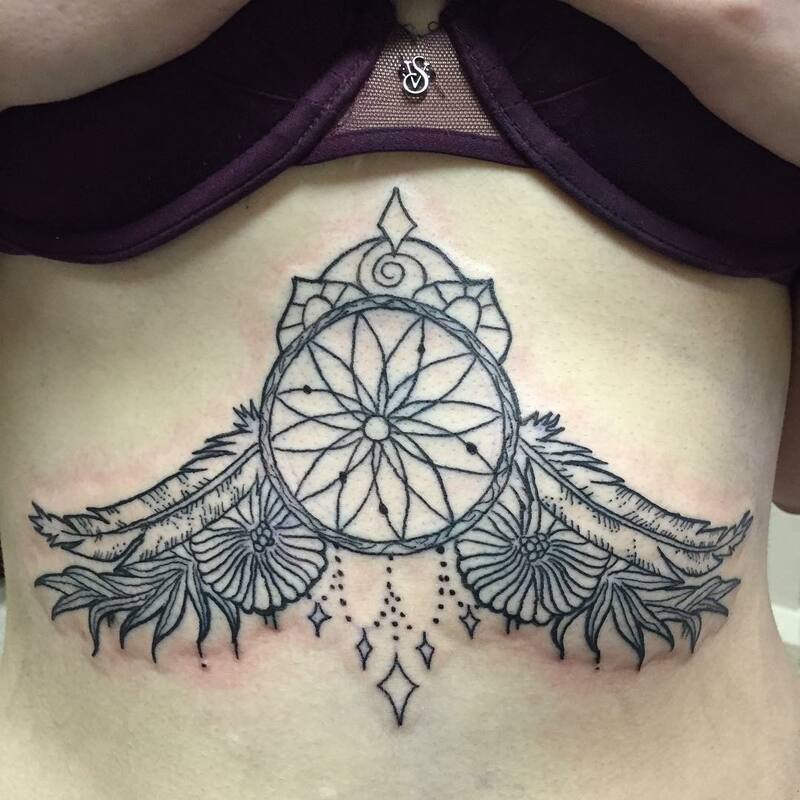 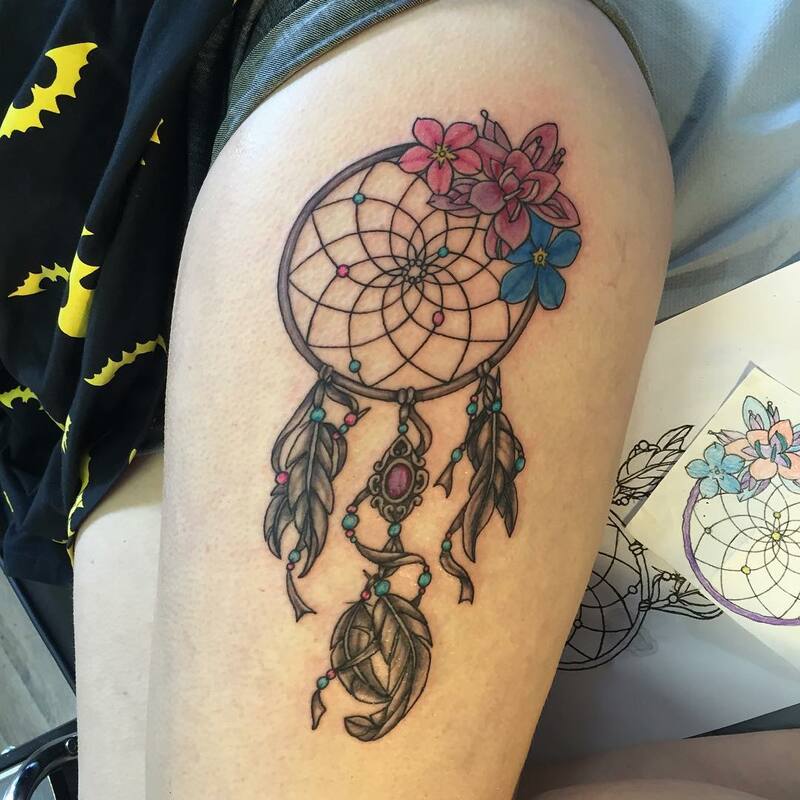 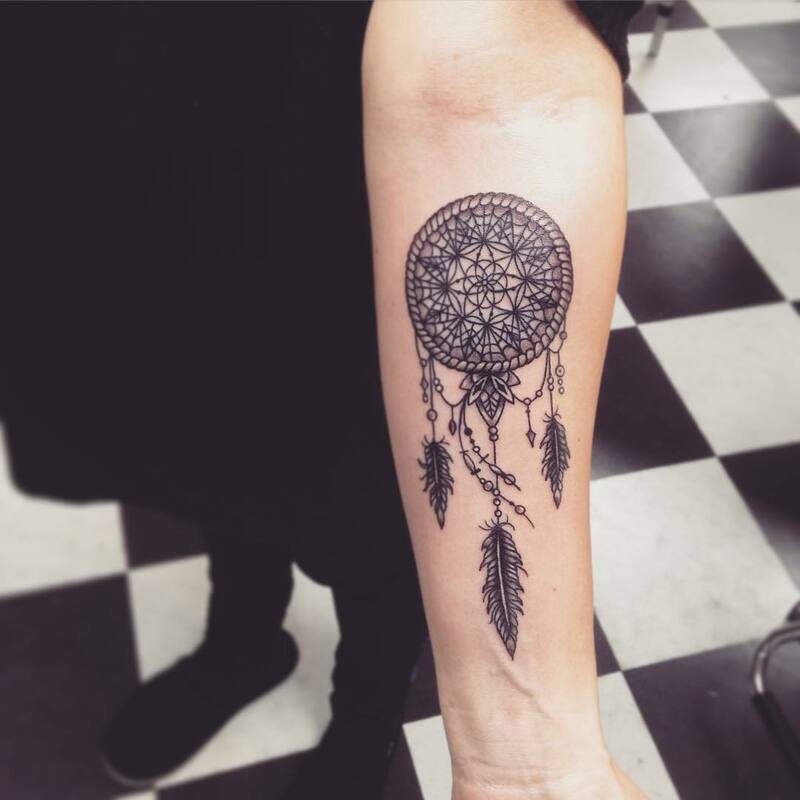 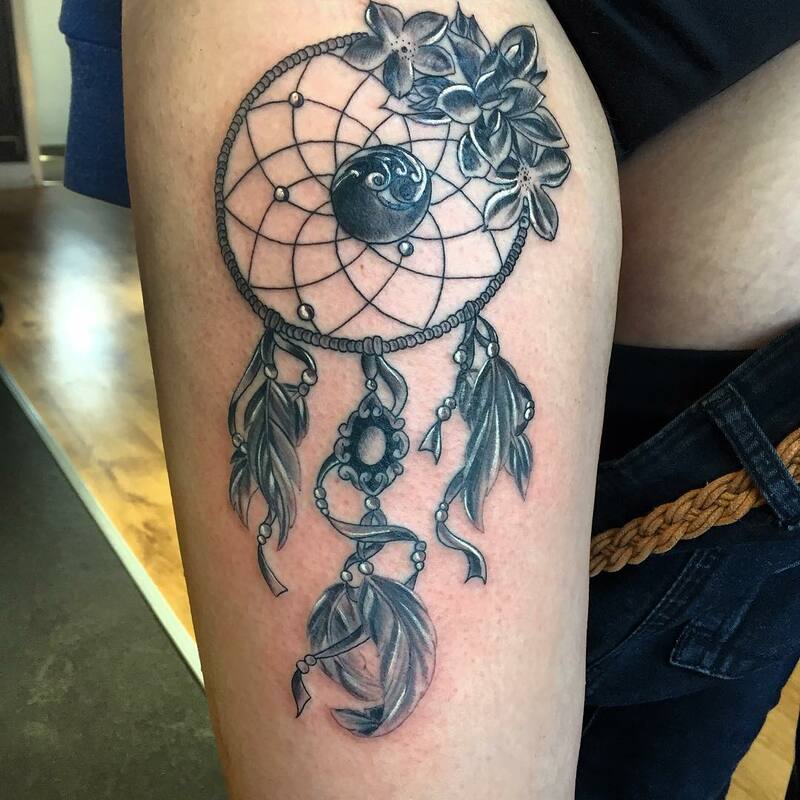 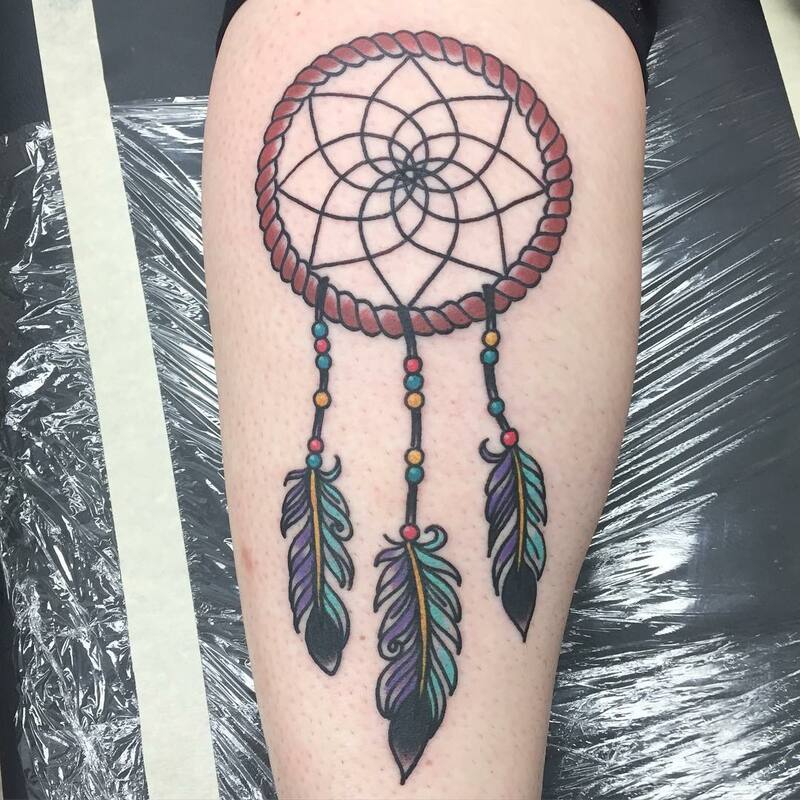 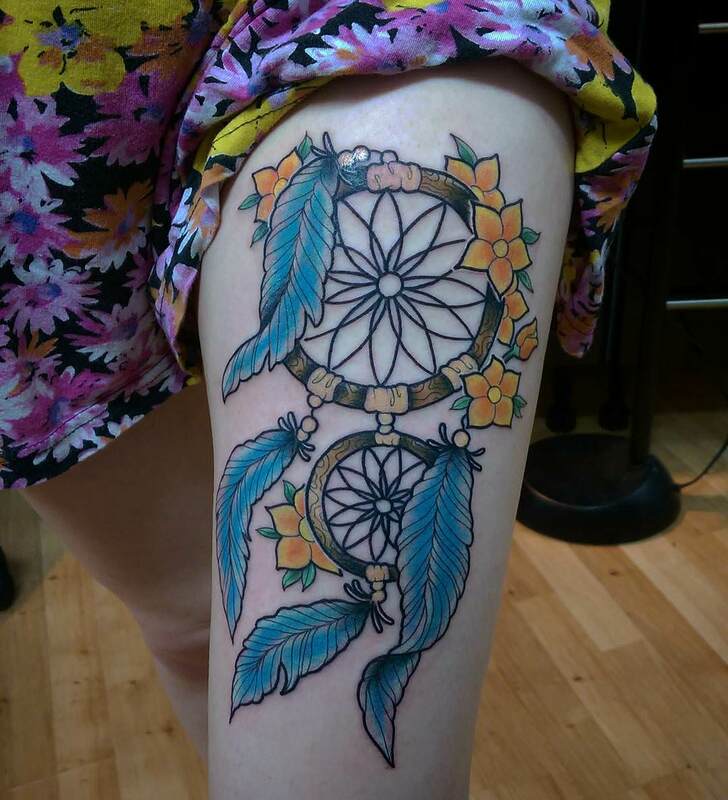 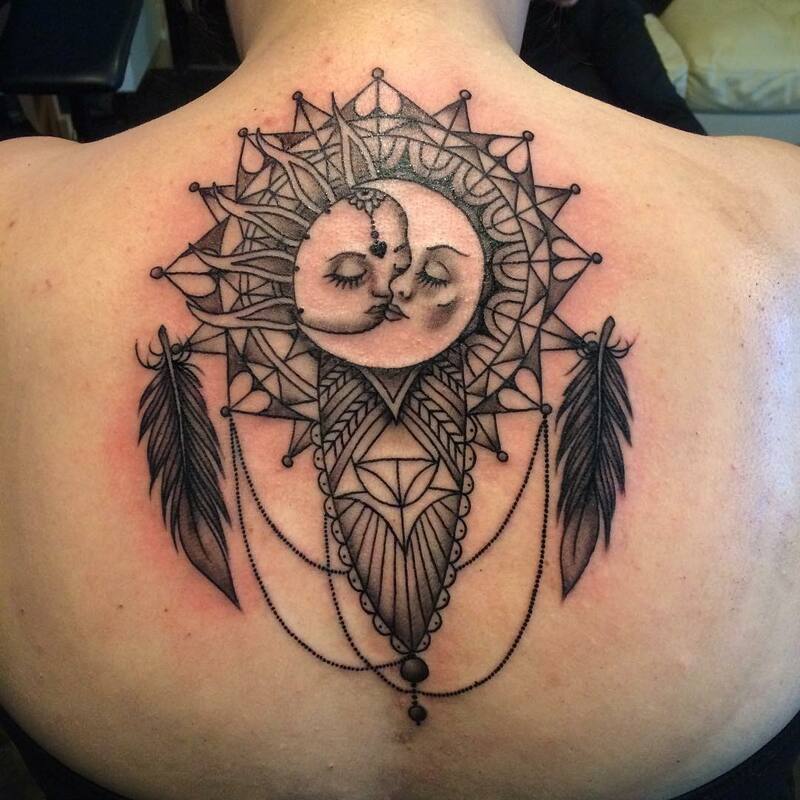 We’ve all heard of dream-catcher tattoo designs. 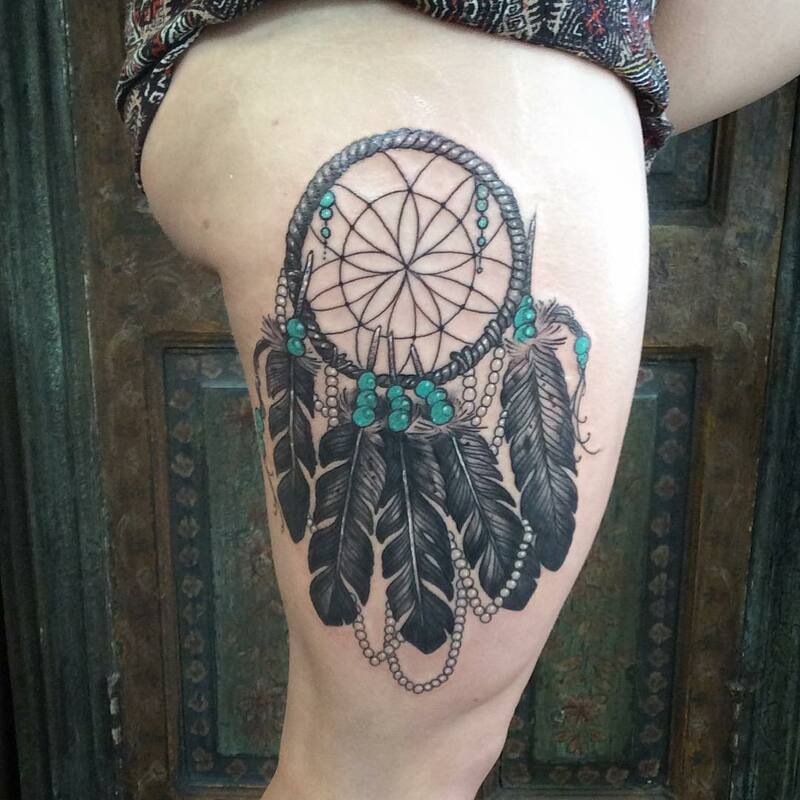 It is basically a hoop which contains feathers and woven mesh and hanging beads. 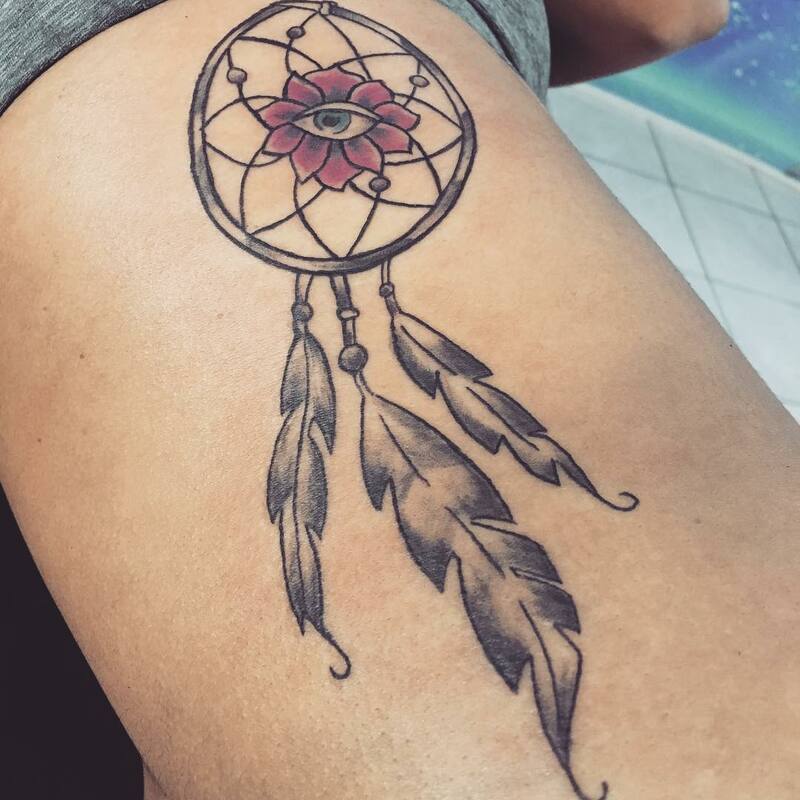 But, its true origin is still unknown to many people. 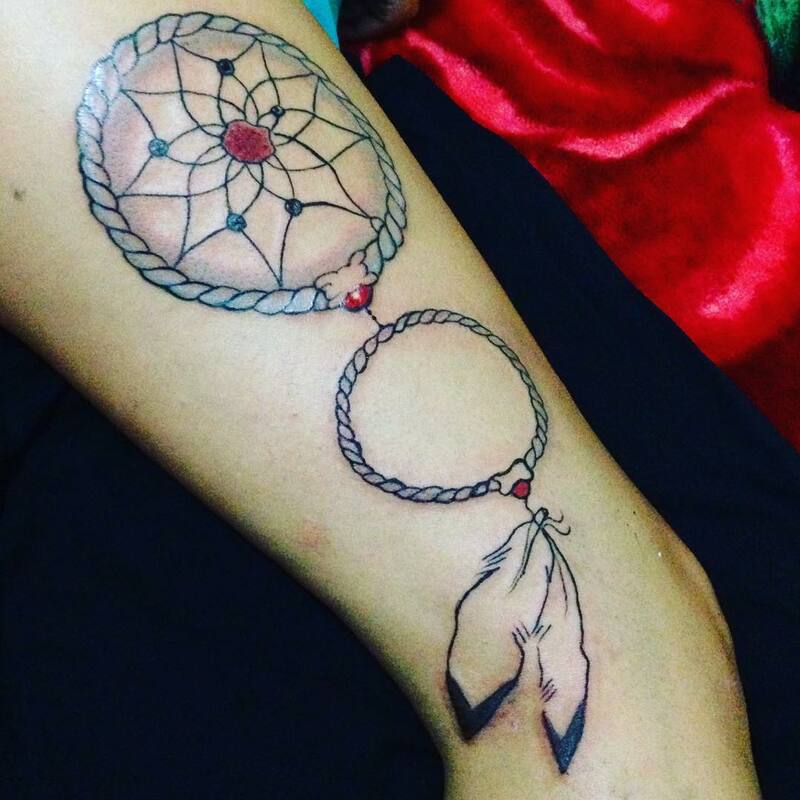 Although dream-catcher is commonly correlated with the American Indian lifestyle, it was not embraced as an American Indian badge until the sixty’s and seventy’s. 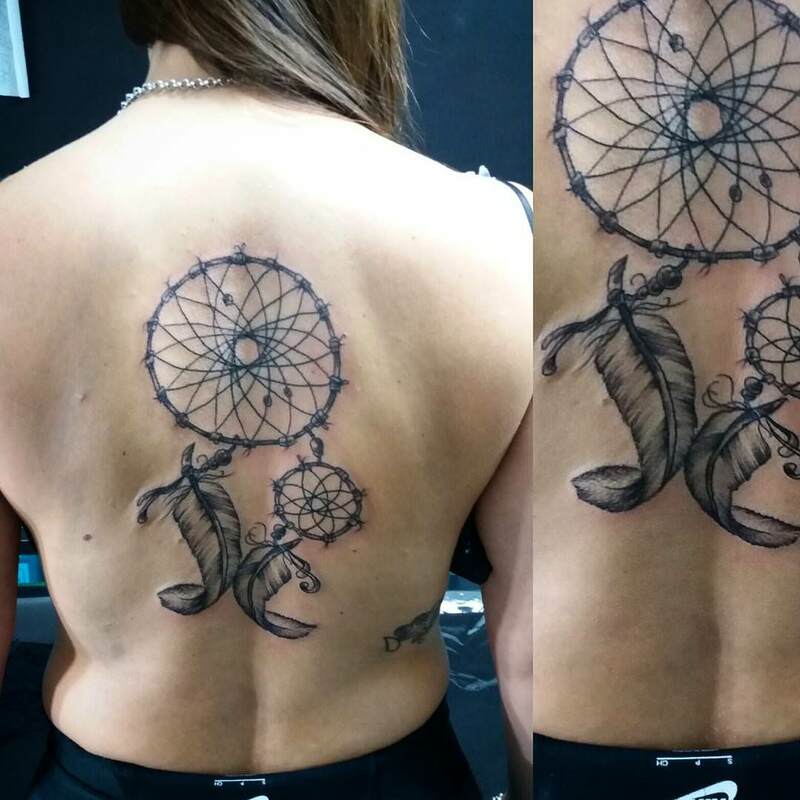 The real origin of dream catcher is with the Ojibwe people. 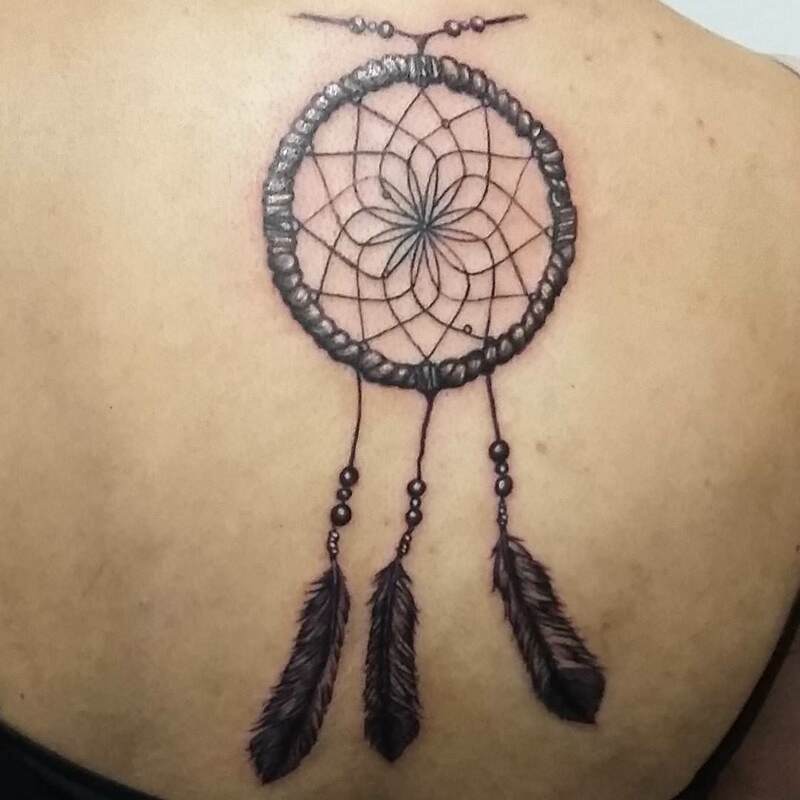 They have an old legend about Asibikaashi who was a spider woman who’d take care of the kids on the land. 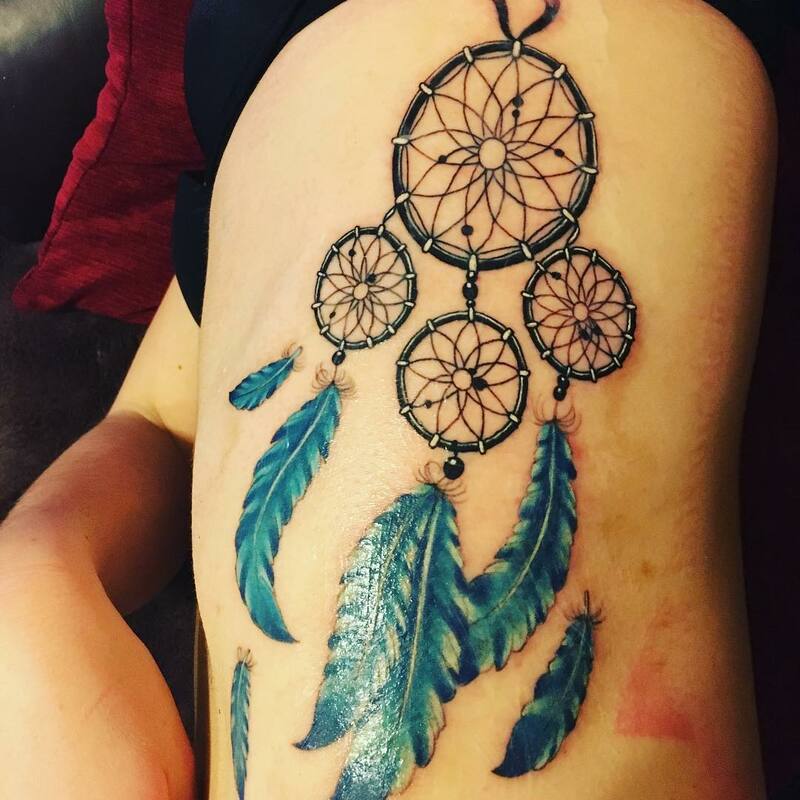 These dream catchers were made and were hung over the beds of children so that they can work as charm and they were believed to allow on the good dreams to enter the person’s mind. 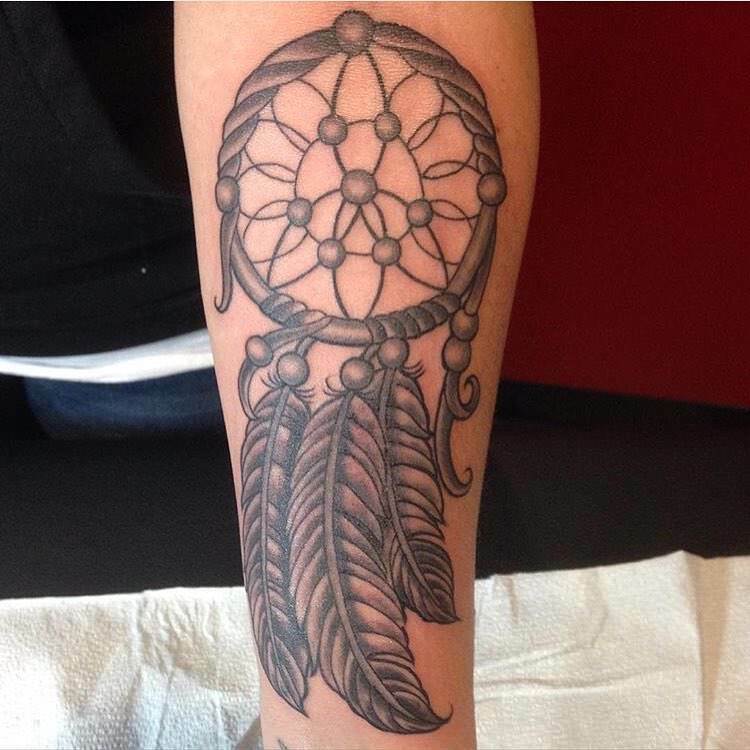 In today’s time, dream catchers have become more of just an American Indian heritage symbol. 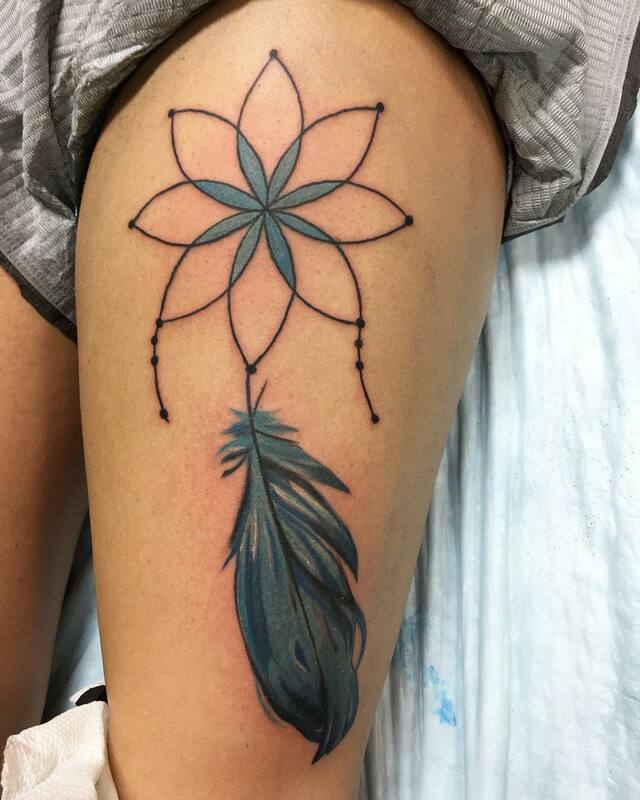 They are more commonly admired for their complete underlying beauty. 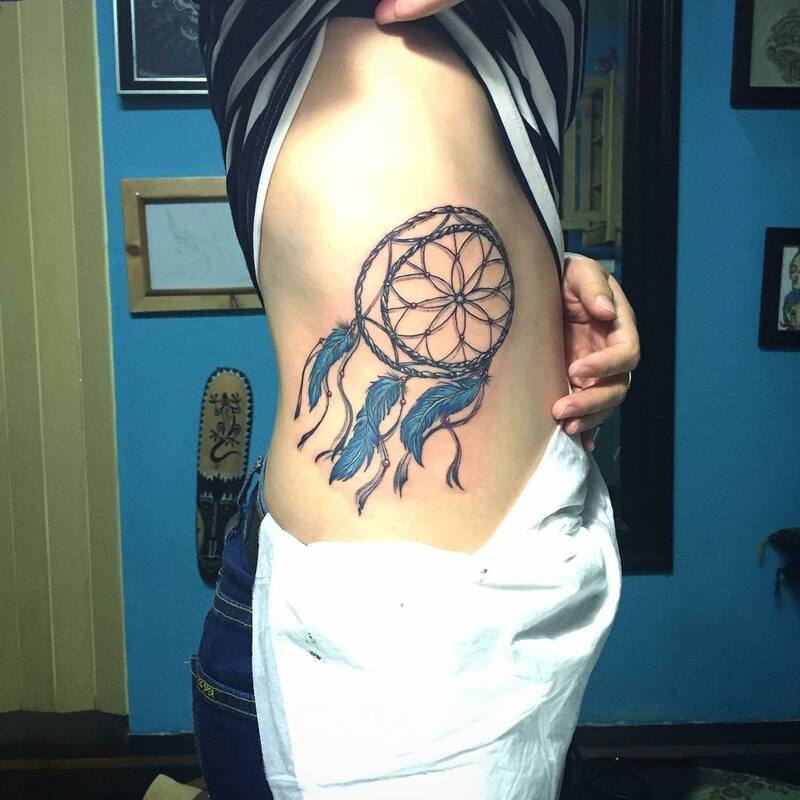 But still there are people who believe that these dream catchers can help get rid of all kinds of bad dreams. 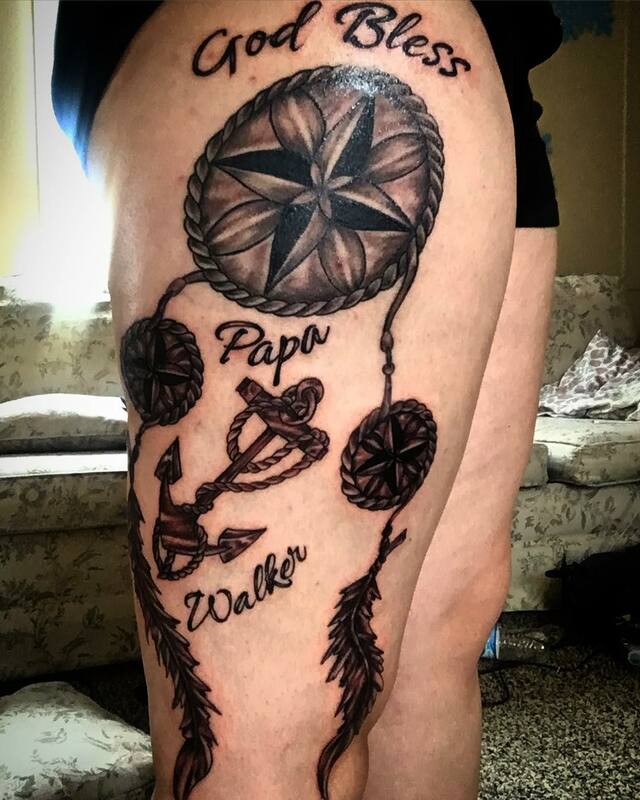 Hence, many people get them made on their body/parts as tattoos. 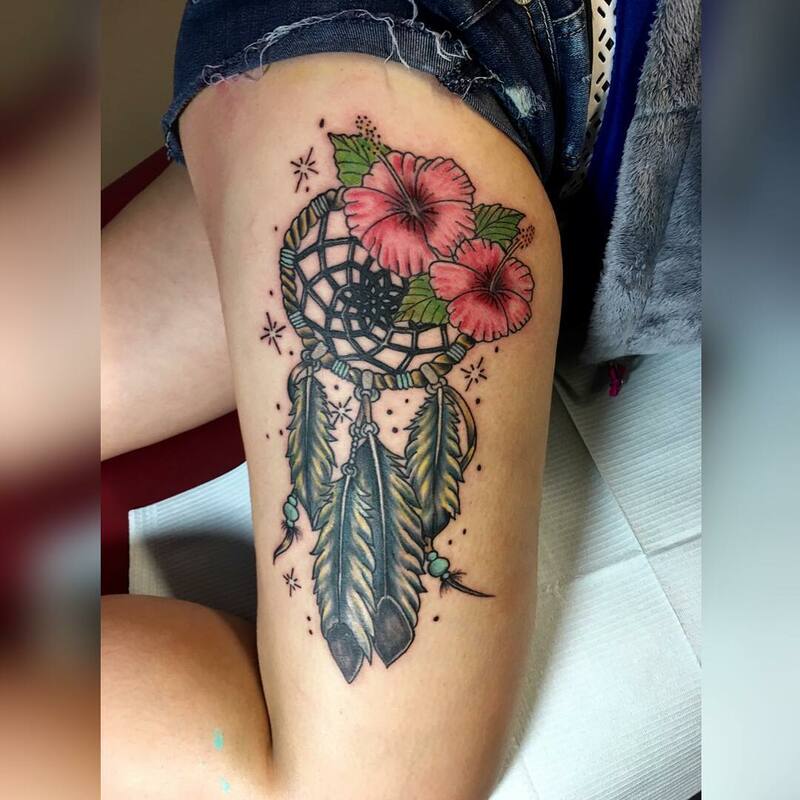 These are mainly very popular among the females because of the web like patterns and the feathers which are considered to be a feminine design.